The sun has set on Kalalou's 2014 Summer market season and what an amazing couple of months it has been! Thanks to everyone who came out to see this summer's Kalalou collection. It's always exciting to meet our customers and talk one on one, about our new products. We're incredibley proud of the entire Kalalou team, for all the hard work they put into making each show a success. We couldn't do it without each member of the Kalalou family or our fantastic customers! It's vastly rewarding to see everything come together for the market season and we can't wait until next time. Our last show of the Summer, Las Vegas, is always a blast and we'd like to say a special thanks to our customers who braved the desert heat to shop all the fantastic new Kalalou products in person! 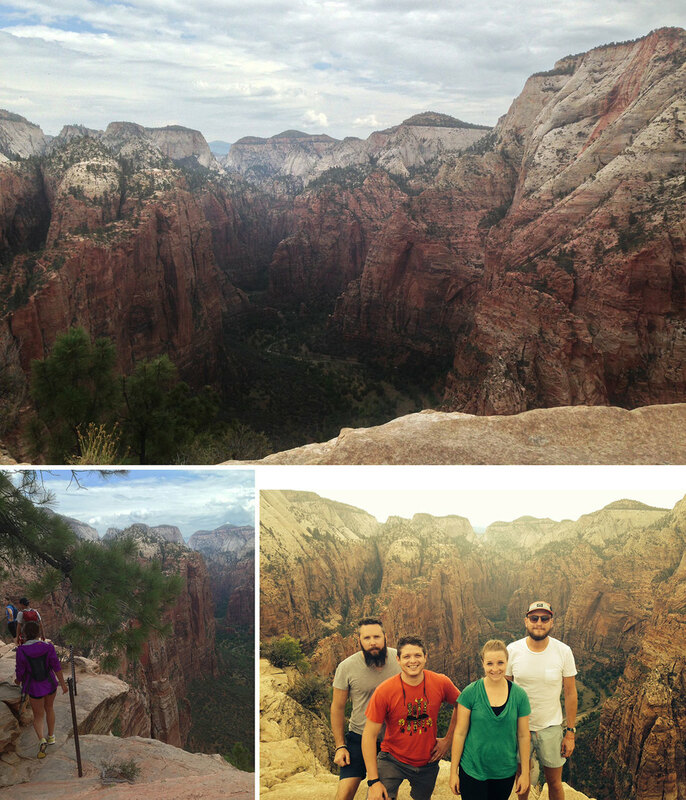 After setting up the showroom, the Kalalou design team got a chance to enjoy a little retreat to Zion National Park in Springdale, Utah. We had an amazing time hiking the Narrows and climbing to the top of Angels Landing for a breath-taking view of one of America's most gorgeous National Parks. It was truly an unforgettable experience! After wrapping up our Dallas, Atlanta, and Las Vegas showrooms, it's time for a much needed break from traveling, but not for long! In September, the design team will fly out to High Point, NC. to set up our last showroom of 2014. High Point Market happens October 18-23 and we can't wait to see all our east coast customers!